Towson-area families have watched fireworks on the Fourth of July for approximately 50 years. The tradition started on Luskin’s Hill, in between Joppa Road and Cromwell Bridge Road. The event later moved from Luskin’s Hill to Loch Raven Technical Academy, 8101 LaSalle Road. After Luskin’s closed its store, the fireworks tradition was carried by the efforts of the former Loch Raven Business Association, Kiwanis Club of Loch Raven, and Loch Raven Community Council, until the Associates of Loch Raven Village, the community association for Loch Raven Village, primarily took on the responsibility and coordinated the show through 2015. 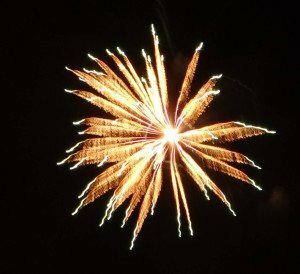 In 2016, a group of dedicated citizens and organizations, particularly the Greater Loch Raven Rec Council and Greater Towson Council of Community Associations (GTCCA), banded together to make sure that the fireworks tradition not only continues, but also so that the fireworks provided the same entertainment and memories for the next generation of Towson-area residents. As of 2017, GTCCA is solely responsible for the fireworks and is now known as Towson Communities Alliance (TCA). The fireworks show is completely funded by private donations and is completely run by volunteers. Without donations and volunteers, the event will not occur. So, thank you to all that have donated and all that have agreed to help!